Being a member of a Roman Imperial Legion is demanding. 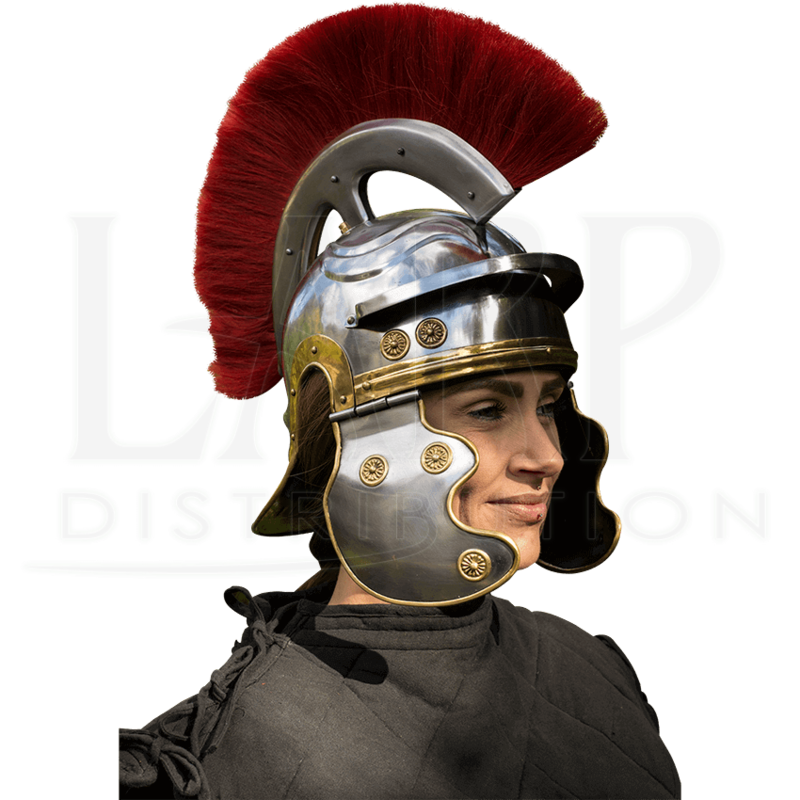 You have to be willing to give your life for the emperor, defend your country with honor, and wear proper protective headgear like the Roman Trooper Helmet with Red Plume! This authentic Galea style 19 gauge steel helmet possesses a polished finish with gold trim around the edges of the helmet and cheek guards. A red crest adorns the top of this helm in a front to back fashion, being attached to a metal crest holder. A raised, wavy pattern can be seen on the front of the helmet above a ridge that rests on the upper skull of the helm, while golden colored wheels decorate the temples and cheek guards. 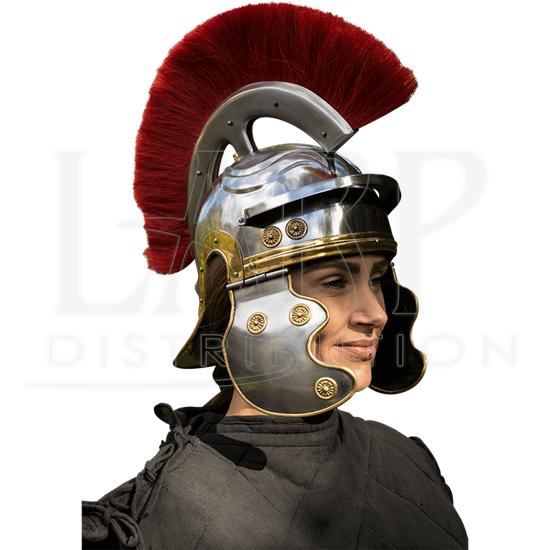 Dress like a proper Roman legionnaire when you equip yourself with this sturdy helmet!